When buying a house, hiring an inspector can be the difference between a great buy and a total rip-off. But while failing to get a home inspector can be costly, hiring an incompetent one is worse. With so many unqualified people posing as real estate inspectors, it’s easy to be misadvised. This is especially true when inspectors collude with real estate agents to rip you off. So how can you find a professional home inspector in Ohio? 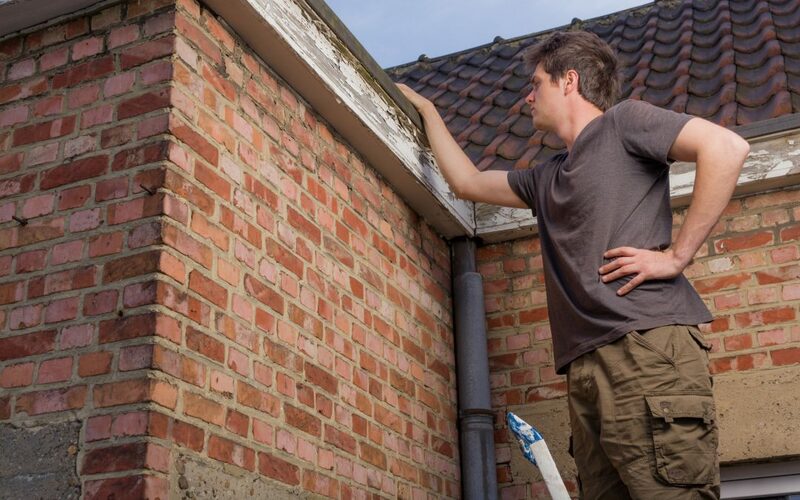 Here’s what you need to consider when hiring a home inspector. In theory, it may seem like a no-brainer to choose a certified home inspector. But, it’s not always that simple. Not all states require home inspectors to have a license, and Ohio is one of them. That said, the state is currently working on the Senate Bill 225 (formerly known as HB 211), which will allow Ohio to establish a licensing board for home inspectors. If all goes well, the state will have a home inspectors licensing board in the next few years. But the lack of a state licensing board doesn’t mean you have to settle for unlicensed inspectors. There are independent organizations in Ohio that train home inspectors and offer certification. The ICA school, for instance, offers a home inspection course that covers commercial inspections, building code, mold inspection, and radon inspection. Ask prospective home inspectors to provide their license before hiring them. And if they do, be sure to search them on the ASHI website to validate their certification. A home inspector can be licensed but unprofessional. Thus, it’s advisable that you get recommendations from people with past experiences. If you can’t find recommendations from friends and family, use online resources such as the Better Business Bureau, Consumer’s Checkbook, Yelp, and Angie’s list. Getting a review of a prospective inspector will give you an idea of their work ethics and experience. It’ll also help you choose an inspector who can reiterate the inspection in simpler terms. A simple inspection misunderstanding can be costly when the item in question is your home-to-be. When seeking reviews, avoid inspectors that come highly recommended by your agent. Quite often, these inspectors won’t give you an honest assessment because they don’t want to cost the agent a sale. While it’s not mandatory, some inspectors carry errors and omissions insurance. In case of an inaccurate or fraudulent inspection, this type of coverage protects you from any liabilities. For instance, if your home inspector claims that there aren’t any outstanding issues during an assessment – only for longstanding problems to arise later – you can claim an errors and omissions insurance. If all the terms and conditions are met, you’ll be able to recover a significant amount of the damage costs. So before you make a choice, ask your prospective home inspectors if they have this kind of insurance. While it shouldn’t be a deal breaker, working with an inspector with this kind of insurance will give you the much-needed peace of mind when buying a home. As with any other field, experience is vital when it comes to real estate inspection. While a certificate is a reliable way to prove an inspector’s credentials, there’s no guarantee that all certified inspectors will do a great job. Moreover, nobody wants to be a home inspector’s first client. Thus, it’s important to consider home inspectors with several years of experience. An experienced inspector should be able to detect even the most subtle home buyer red flags. However, experienced professionals tend to be more costly. But what’s a few extra dollars when you can be guaranteed peace of mind with your new home? The real estate industry keeps changing. Thus, it’s essential that you work with inspectors who enroll in extra training to keep up with the industry trends. Things like construction methods, municipal regulations, building codes, construction materials, plumbing regulations, as well as fire and electrical codes hardly remain the same every five years. Since these changes affect the value of a home, it’s important to hire a home inspector who’s up-to-date. For instance, if foundation problems are common in your specific area or if your home comes with a septic tank, ask beforehand if your inspector can do such inspections and whether there’ll be some extra costs. Get an inspector who will refer you to a good specialist in your area. Good home inspectors have sample home inspection reports on their website. So before you settle on a particular professional, visit their website and take a look at some of their inspection reports. Check whether they’re well-formatted and easy to understand. Good inspection reports should identify all the defects, vividly explain the problem, and recommend ways to fix them. They should also include detailed photos of the home in question. Having figured out how to find a home inspector, the next step is to ensure that you get the best service possible. Working with a professional home inspector requires your participation and undivided attention. Don’t just assume that your inspector will tell you everything. Go the extra mile in protecting your investment and inquire about anything that raises concerns. If you’re looking for professional home inspection, schedule an appointment and get in touch with one of our experienced inspectors.